Los Angeles-based singer, songwriter, and history-making Season 10 victor of NBC's "The Voice" Alisan Porter releases her brand new single "CHANGE" at all digital retailers. It's available HERE. On July 25, she performs the song on NBC's "The TODAY SHOW" for the song's very first television performance. 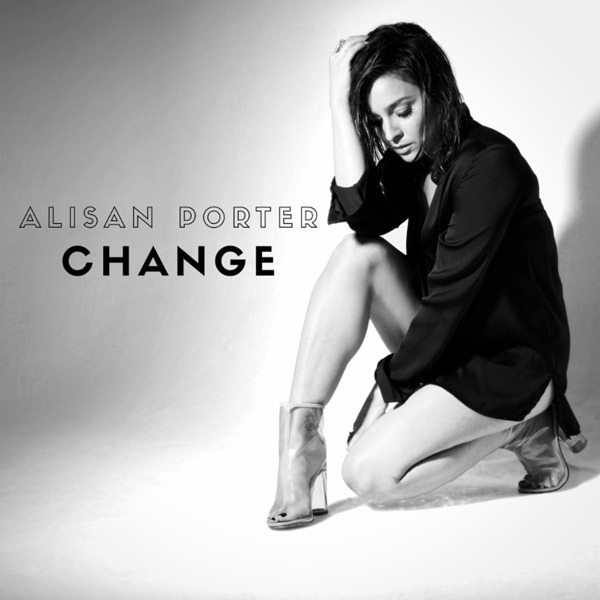 "Change" follows Porter's first single "Deep Water" that introduced Alisan's 2017 independent EP "I Come In Pieces," arriving August 11. Written in just six days during a trip to Nashville, TN, she teamed with producer Greg Wells [Adele, Elton John] to cut these six new songs, co-writing alongside the likes of Jason Reeves, Stephony Smith, and more. Standing at the crossroads of shimmering soul, heavenly gospel, and roaring rock 'n' roll, this body of work illuminates every nuance of her magnetic, massive, and marvelous voice. Porter said, "Freedom. Acceptance. Love. This is the change the world wants to see. What it NEEDS to see. "Change" is my anthem, a pact with one another, to BE the change we want to see." As part of "Team Christina Aguilera," her story, spirit, and staggering talent captured the hearts of audiences everywhere last year on The Voice. Bustle called her tenure on show "pitch perfect," while Washington Post dubbed her "thrilling." In an interview with People, coach Christina Aguilera described her as "the Essence of Poise and Presence." Be on the lookout for more new music from Alisan Porter and touring plans soon.